Until a few years ago, the narrative within legal practices, as in most service industries, focused mainly on austerity, small growth numbers, and the crises. 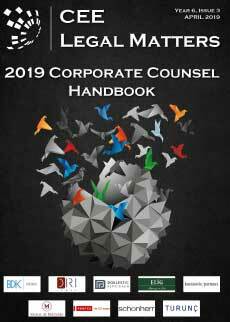 Most legal practitioners feared an uncertain future and all the risks it held, including evolving client expectations, financial pressure, and the long-term impact of the global economic crisis. Zivkovic Samardzic has advised Belgrade Nikola Tesla Airport, a joint-stock public company that owns and operates the Belgrade airport, on its new, third issuance of shares. The issuance of shares was a result of NTA’s share capital increase. Staying compliant with applicable legislation requires constant tracking of new legislation while staying on top of amendments to existing regulations. When employers are not compliant, they risk being fined. No exceptions are made for labor legislation. Markovic Vukotic Jovkovic has advised De Heus on its acquisition of Serbian compound feed plant Komponenta from HZZ Komponenta DOO. Tasic & Partners advised the sellers in the deal. Gecic Law has successfully advised the Republic of Serbia and EPS, one of the largest energy companies in the region, in a probe led by Energy Community Secretariat regarding alleged State support for the multi-million-euro Kolubara B project. The Serbian Parliament adopted the Financial Collateral Act ("FCA") on 8 June 2018 (published in the Official Gazette of the Republic of Serbia, no. 44/2018). The FCA bill was proposed by the Serbian Central Bank (National Bank of Serbia, "NBS") on 22 May 2018 and the FCA will apply as of 1 January 2019. Financial contracts which have not been enforced by 1 January 2019 will be enforced pursuant to the existing rules that were in force before the FCA started to apply. Implementation of large-scale real estate development projects almost always requires the simultaneous development of new or upgrades to existing public infrastructure necessary for the unimpeded use of the main project. Back in the old days, real estate development projects suffered, from time to time, from slow public infrastructure development since the relevant public authorities either had no interest in or had no available funds to develop the missing infrastructure.